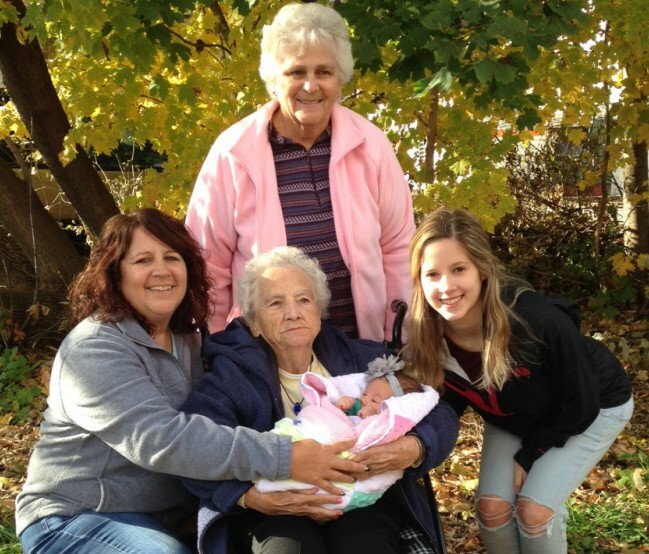 Shirley Rice, of Alna, recently gathered with her family for a five-generation photo. In front, from left, are Janet Michaud, of Hollis; Ruth Kennedy, of Skowhegan; Molly Marie Clark, of Leeds; and Meghan Michaud, of Leeds. Rice is standing in the back.